To raise awareness of this new BBC2 program, we embraced the geographical and cultural diversity of the coast that surrounds the British Isles. Using a mix of iconic, famous and less well-known locations people around the UK could relate to at least one of the vignettes in this 40 second promo�. This spot broke a couple of weeks before the first episode aired. 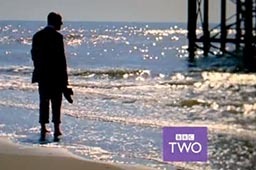 It exceeded BBC expectations for viewing figures of the first episode by over 1.5 million making it the most successful pilot BBC2 program up to that point.